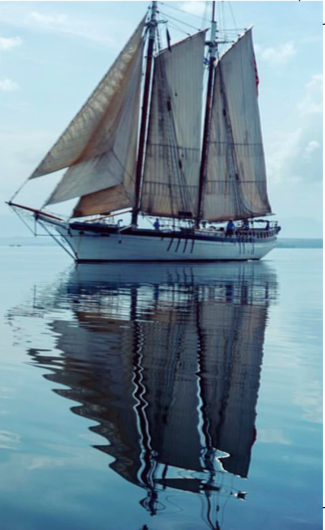 Friends of S. Portland or Baxter High Schools: Please join us for an evening sail on board the 130' classic Schooner Harvey Gamage, the night of August 23, 2018 from 6 to 8:00. Go for a beautiful evening sail in support of financial aid for students wishing to experience a week of life at sea. $75 per person. Purchase your tickets here. You will sail on the same tall ship that S. Portland and Baxter students sailed on for a week this summer for their experiential education at sea programs.